Are you on the hunt for the perfect window dressings for your home? If yes, your answer is Venetian Blinds. For those who are new to the term – a Venetian blind consists of horizontal adjustable slats pivoted together with a cable. These blinds are available in materials such as aluminium, plastic, wood, PVC, etc. They can cost around $150 to $250 for a window measuring 1200mm width x 2100mm height. The price might vary depending on the material you select. While Venetian blinds can perfectly fit any space and have a simple and sleek design, there are many other reasons why it has always been a popular choice among homeowners. If you are considering investing in new window treatments for your home, Venetian blinds might be your go-to. Durability – Venetian blinds offer some of the best value for your bucks in the window furnishing market. They are reasonably priced and still provide complete value for money. If a good value for money is a deciding factor for your purchase, Venetian blinds will give you just that and much more. Pro Tip – PVC or Faux-wood blinds are better suited for bathrooms and kitchens, because of their higher durability and resistance to water and detergents. Ample Control – Venetian blinds offer huge amounts of control over everything that can penetrate through your window. The adaptable nature of these blinds offers a good amount of control over privacy, sunlight, airflow and view. By regulating these components, you can create a desirable space in your home or office. In addition to providing ample control over the amount of light entering inside, these blinds are sleep and neat alternative to shades. Shades or Blinds – How to Take the Right Decision for your Home? Easy Maintenance – For those of you who have the responsibility of cleaning or maintaining your home or office, Venetian blinds are extremely easy to maintain. You can simply brush and wipe them once in a while and they will be spick and span again. If you know how easily dust can accumulate in a property and how difficult it is to clean them over and over again, you would really appreciate this great feature of Venetian blinds. Pro Tip – Do not clean your blinds with abrasive or strong sponge. They might damage the material. Simply wipe them with a dry cloth and a dilute solution. How To Clean Your Outdoor Blinds in Melbourne? Customisation – Venetian blinds are available in a variety of different shapes, sizes and colours. No matter how large or small your windows are, Venetian blinds can be cut and fixed to any window. Having said that, it is a great idea to source your Venetian blinds from a company that offers all the different options available and customises them for you. Why not have a look at Awesome Blinds’ latest installations? Pro Tip – PVC blinds are available in a variety of colours. Alternatively, aluminium and timber blinds can be sprayed and powder-coated to desired colours. But, synthetic paints can slightly add to the toxicity of the indoor air. Versatility – Venetian blinds are extremely versatile. They are one of the few blinds that will look good with any interior or space. Be it contemporary or a traditional home, Venetian blinds will pretty much blend with any configuration and make your home look stylish and attractive. It is rare to find a blind that can merge in anywhere it is installed. Are you looking to transform your space with window treatments? Check out – 4 Interesting Ways to Choose Popular Window Treatments for your Home! If you think Venetian blinds are the perfect fit for your space, contact the team of Awesome Blinds. 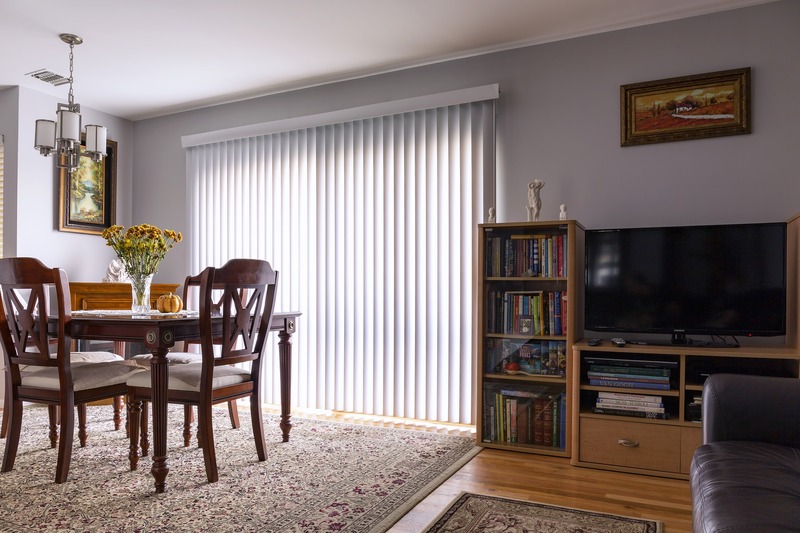 We have been providing Melbourne locals with the best blinds for more than 20 years now. Our friendly expert will always be there to help you with all your blind related needs. Call us at 1300 550 552 and get your hands on the best Venetian blinds in Melbourne.